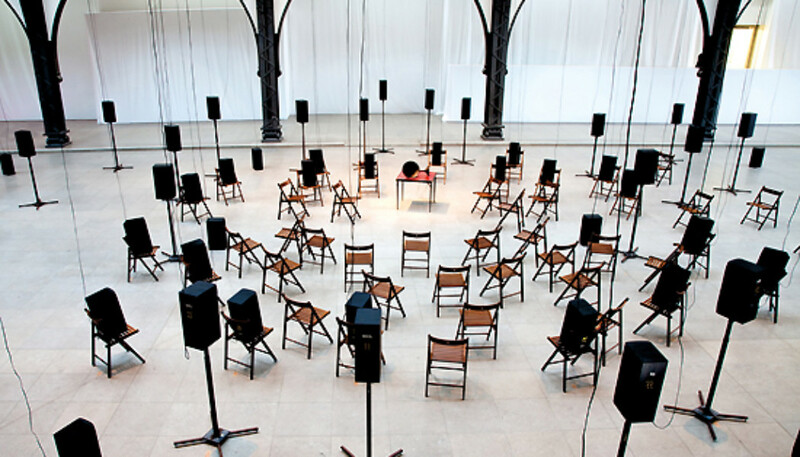 The largest sound installation to date by artists Janet Cardiff and George Bures Miller, The Murder of Crows is a compelling “sound play” that envelops the audience in an unexpected physical and aural environment. 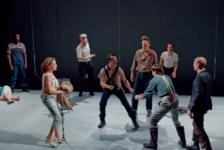 Moving and weaving through ninety-eight speakers mounted within the cavernous Drill Hall, the work narrates a captivating and confounding melodrama, investigating concepts of desire, intimacy, love and loss. The multifaceted soundscape uses a fluttering of voices and sounds, from crashing waves to the hubbub of a factory floor, to transport the listener to an unexpected dream-like world. 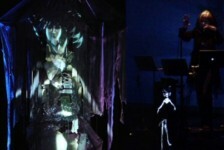 The Armory’s presentation of The Murder of Crows marks the work’s U.S. premiere. For a look into the creation of The Murder of Crows, read this July 2nd INTERVIEW WITH THE ARTISTS. Cardiff and Bures Miller represented Canada at the 49th Venice Biennale with Paradise Institute(2001), a 16-seat movie theatre where viewers watched a film, becoming entangled as witnesses to a possible crime played out in the real world audience and on the screen. The artists won La Biennale di Venezia Special Award at Venice, presented to Canadian artists for the first time and the Benesse Prize, recognizing artists who break new artistic ground with an experimental and pioneering spirit. Cardiff and Bures Miller have recently had exhibitions at the Art Gallery of Alberta (2010), Fruitmarket Gallery, Edinburgh, Scotland (2008) the Miami Art Museum (2007) Vancouver Art Gallery (2005), Luhring Augustine, New York (2004), Contemporary Arts Center, Cincinnati (2003), Art Gallery of Ontario (2002), National Gallery of Canada (2002) and Oakville Galleries, Oakville, Ontario (2000).